The General Dynamics NASSCO shipyard in Barrio Logan is warning employees that as many as 700 layoffs could be coming in January. 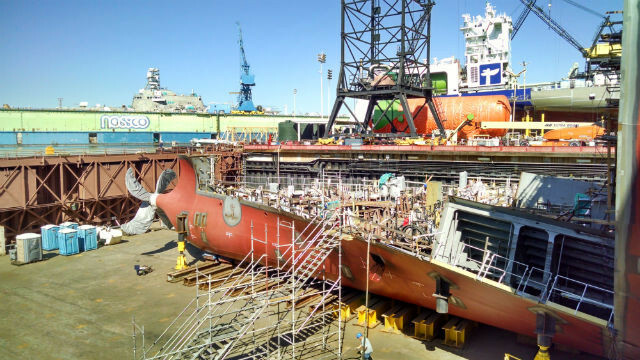 The shipyard, which has 3,500 workers, has a new contract to built six fleet oilers for the Navy, but is nearing the end of an eight-ship contract for tankers for private companies. Letters were sent to employees last week, and a layoff notice was filed Friday with the state Employment Development Department. NASSCO operates the largest shipyard on the West Coast and builds both commercial and Navy ships.